This week kicks off week one of our month long blog series "Crisis Averted!" If you are planning a wedding, it’s probably safe to say that you are feeling the pressure. There are so many little details to consider, it can make even the most type-A personality feel disorganized! As if the actual wedding details aren’t enough, there always seems to be underlying budget, family, friend or vendor drama surrounding an upcoming marriage. 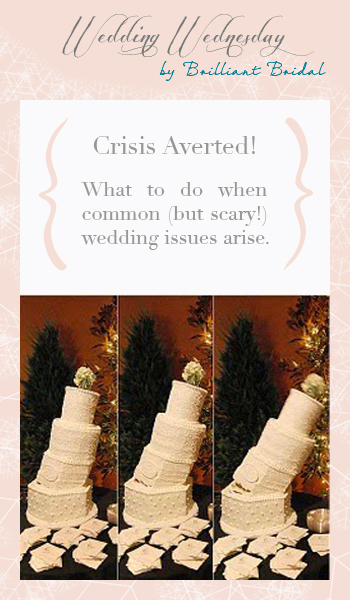 Don’t worry, though, because we are dedicating the whole month of November to sharing our advice on handling some common wedding issues. Hopefully our tips and tricks can help make this sometimes stressful experience a little easier! Help! We've Gone Over our Wedding Budget! If you’ve gone over your wedding budget, you are not alone. Most couples get caught up in the fun and emotion of wedding planning and spend more than they intend on early stage purchases. Wedding budgets are all about priorities. Your money should go to what matters most to you and your fiance. If you could care less about a photo booth or ice sculptures don't book them! 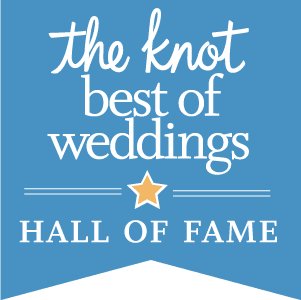 If you simply must have your favorite venue in the middle of wedding season (at peak prices! ), consider cutting back on the uplighting, expensive linens, and the carving stations at your reception to make the wedding budget happy again. Keep in mind your guests won't know these small details are missing and you’ll be having too much fun to care! It's also never too late to utilize a wedding budget tool such as WeddingWire's free spending tracker. If you're just starting to create a wedding budget or trying to correct course having gone over budget, seeing the dollars and cents in a detailed break down will help you make smart decisions moving forward. Join us again next Wednesday as we share tips on dealing with a bully bridesmaid!